By Leah Dobrinska. Feb 16, 2017. 9:00 AM. We're a little over one month into the new year. How are your new year's resolutions shaping up? One of our promises for 2017 was (and is!) to read more poetry. You should make it a habit to do so, too. Today, we’ll help the poetry cause by presenting poems from legendary poet and author, Langston Hughes. 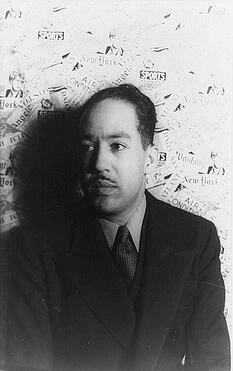 Langston Hughes was born in Joplin, Missouri in 1902. His poetry was a cornerstone of the Harlem Renaissance. And he is well remembered for the way in which he spoke directly to African Americans, never shying away from the realities of life. Hughes used his poetry to peddle the truth, and he did so with a mix of music—notably jazz—as well as humor and language. Below are a few of Langston Hughes’ notable poetic efforts. Read on and you’ll be amazed at how they resonate still today.